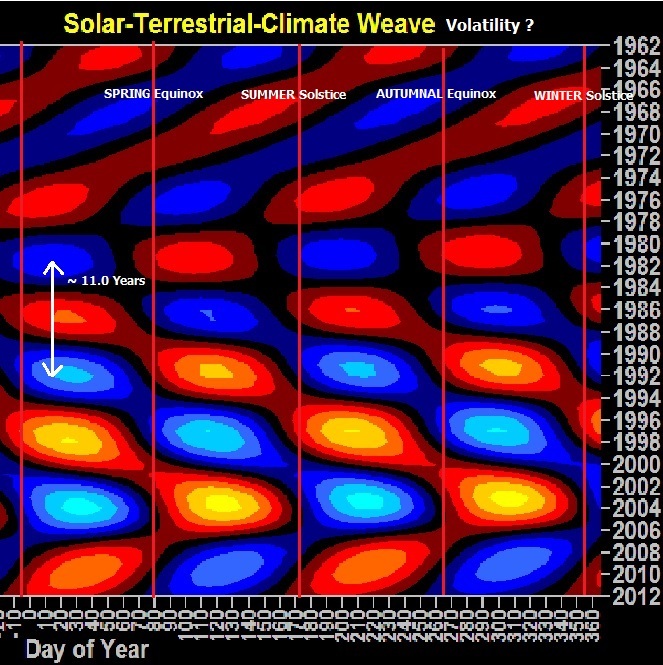 Here is a modified plot of Paul Vaughan's Solar Terrestrial Climate Weave of volatility (i.e. either standard deviation or variance) of some, as yet, unspecified variable. 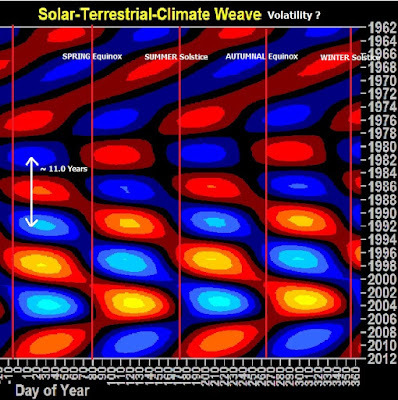 Clearly, Paul finds that there is a seasonal pattern in the variance of this unspecified variable that repeats itself once every 11 years i.e. it changes phase by 180 degrees roughly every 5.5 years (2 x 5.5 = 11.0 years). It would really help if Paul indicated the nature of the variable whose variance (or standard deviation) he is measuring so that others could share in this important [long-standing] discovery.